He is commonly called the Bheeshma Pita of Haridasa Sahitya. He is also credited with having given an impetus to Carnatic music. A man of the masses, he composed, sang and even preached in Kannada-the language of the locals of Karnataka. This was not done today or decades ago but several centuries ago when Sankrit was the medium of education in India and of course Karnataka. It was Sripadaraja Theertha who broke this tradition first. He did write a text in Sanskrit. Of course, he was a Sanskrit scholar. But he did write in Kannada and he made the religious and philosophical tenets available to the local populace which for centuries had been denied the wisdom from these books. He became the first Madhwa saint to write a variety of Kannada songs- Devaranamas. They were written in different styles and not one single Madhwa saint had attempted before Sripadaraja to write Suladis in Kannada. (Narahari Theertha composed Suladis but they were in Sanskrit). Sripadaraja began writing in Suladis and by the time he entered Brindavana in 1502, he had composed 130 of them. He was the pioneer in introducing rhythm oriented compositions set to seven talas called the Suladis. This tradition of Suladis was carried forward first by Vyasa Theertha, the disciple of Sripadaraja and subsequently by Vyasa Theertha’s large body of disciples such as Vijendra Theertha, Sudheendra Theertha, Vadiraja, Purandara Dasa, Kanaka Dasa and even Vaikunta Dasa. It was the large body of Suladis by Sripadaraja that laid the foundation for the Haridasas of both the Dasa Koota and Vyasa Koota-both founded by Vyasa Theertha-to compose in this genre of composition. The word Suladi comes from the Sanskrit word Suda which also means Gita. A Suladi is very much like the Gita (simple melodies where the tempo is even) in musical structure and in its arrangement. But they differ from the Gita in syllables and standard. Moreover, in a Suladi, the writing is devotional. Thus, I can say that Sripadaraja commenced the movement where the Suladi became a unique musical genre composed only by Haridasa saints. They evolved from the Salaga Suda (prabandha). The suladis of Haridasas has verses where each is in one of the seven main suladi talas. In short, suladis are a metrical form employing different ragas and talas. Sripadaraja was a master in this and he taught Vyasa Theertha and also Vadiraja the nuances of this composition. It is perhaps more than fitting to the great seer of Mulabagal that Vijaya Dasa has composed a suladi describing the greatness of Sripadaraja Theertha. Apart from Karnataka, Suladis became popular in Andhra Pradesh too when Annamacharya took it up and composed several devotional songs in this metre. Well, I would be doing a great disservice if I confined Sripadaraja’s contribution to music to only suladis. The seer was also a past master of Vrittanama, Ubabhoga, prabhandas and even kirtanas and Dandakas. The vrittanama seems to have evolved from the prabandhas and in this the composition alternates between verses sung without tala and those sung with a tala. Ugabhogas are verses sung to ragas and they are similar to vrithams. The main difference between them are the Ugabhigas are not set to any metre and each line can be of variable length. By the way, most ugabogas do not have set ragas. In these two genres too, Sripadara contributed to their initial development. He composed three ugabhogas and several kirtanas and set the stage for the rest of the Haridasas to follow. On their part, all the Haridasas have extolled the glory and greatness of Sripadaraja in their compositions. In several of his compositions be it in any genre, Sripadaraja has evocatively held bhakthi and the five fold approach of Shanta, Dasya , Sakhya , Madhura and Vastalya as the vehicle to understand Hari. His Madhwanama is a gift to the world of music. Ranga Vittala, as he was known in his music, composed hundreds of kirtanas in a simple style with full of devotion and love of god. Before he took the ankita of Ranga Vittala , he was Gopinatha. He has composed scores of Kritis in Carnatic and even Hindustani ragas. One such versatile kriti is “Nana nanadana paahi, which can be sung in nine Ragas, whew. In addition to the vast body of songs, Sripadaraja composed Gopi Geetha, Venu geetha, Bhramara geetha, Lakshmi Narasimha raadurbhava Dhandaka and Rukmini-Sathya Bhama Vilasa. 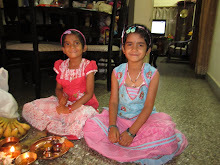 The Madhwanama today is widely popular and sung in almost all Madhwa households. He was the first saint to pioneer pada and set it to a form in music. Siriyo Krishna,” is full of deep love and affection to the playful Krishna. Sripadaraja is at his best in “ Kangalidhyathako cauvery rangana nodadha,” where he goes into ecstasy at the sight of Ranganatha of Srirangam. Bhimsen Joshi has brought out this composition in his inimitable style. Truly as Vyasa Raja said of Sripadaraja , “Mahime saladhe, Ishte mahime saladhe.” The mystical Vadiraja also paid glowing tributes to Sripadaraja, saying “ Sripadarayara dhivya sripaadhava bhajisuva”.